For over 30 years, business litigation and family law attorney W. Tyler Moore has represented his fellow Texas residents dealing with complex legal problems. He combines experience and proven trial skills with certification as a specialist in civil trial law by the Texas Board of Legal Specialization. While he understands that many legal disputes can only be resolved in the courtroom, he strives to avoid trial. 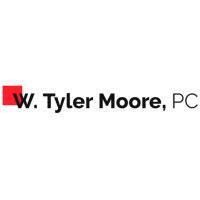 The founder of W. Tyler Moore, PC, is a sixth-generation Texan who spent 27 years as a practicing lawyer in the Brazos Valley before moving his business litigation and family law firm to Houston. Since starting his legal practice, he has remained dedicated to helping parties find compromise and achieve mutually satisfactory settlements. Trials are time-consuming and costly with legal fees that offset any judgments. Control of the outcome is placed in the hands of a judge or jury. Regardless of how you perceive the strength of your case and the effectiveness of the arguments, you may not prevail. At W. Tyler Moore, PC, a trial is an option, but only as a last resort and line drawn in the sand when all other options have been exhausted.